HE WAS RIGHT! Sundeep Kochar, India’s best and most famous astrologer who has helped millions of people the world over with his accurate astrological predictions and simple astro remedies predicted the triumph of Donald Trump at the recently concluded US Elections. Infact it is the second correct prediction in line regarding US Elections, as he had predicted correctly the second term of Barack Obama also. Even Fox Radio US interviewed him life for his accurate predictions for the President of United States. A few days back, Sundeep Kochar (who is the only world famous Indian astrologer who has read the horoscopes of serving ‘President of India’ at ‘Rashtrapati Bhawan‘ & ‘Vice President of India’ in their official residences) was of the opinion that according to Vedic Indian Astrology, Hillary was in a debilitated Sun main period (in the Swati nakshatra of 8th house rahu) along with Rahu sub period. Hence, it could go against her success and attract turbulence in her career. On the other hand Trump’s horoscope reflected victory. Trump’s 18 years of Rahu period is expected to end in next few days. Moreover, auspicious Jupiter Period (in the Chitra nakshatra of yog karaka Mars) placed 11th from Arudh lagna, transiting Jupiter also in the 10th house of power from moon, will be starting for the next 16 years, promising more power, position & recognition for him. 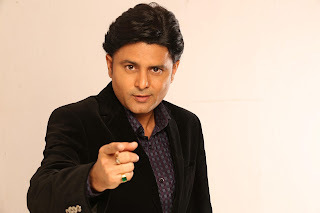 The only astrologer to be registered in the ‘Limca Book of Records’ for hosting the longest running astrology show ever on Television says "whatever has to happen, will happen... but with the guidance of astrology one can plan his life & take right decision at the right time..."
Sundeep Kochar achievements and accuracy have been appreciated and acknowledged by many. He is the mentor for many institutes & organisations such as INIFD & Miss India Worldwide.